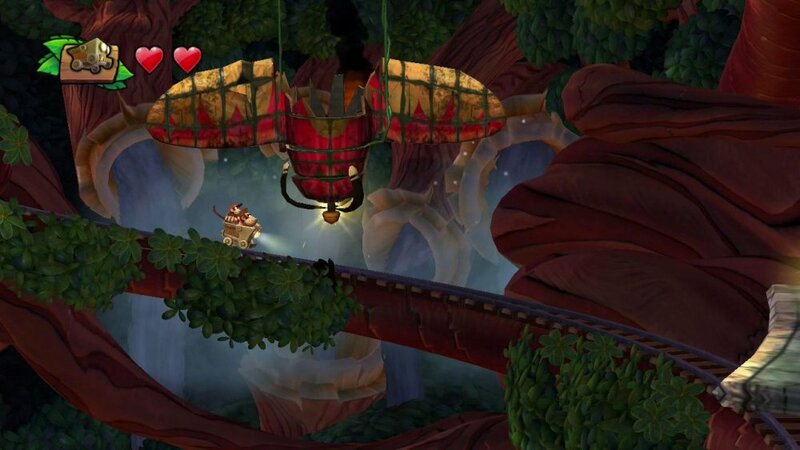 Donkey Kong Country: Tropical Freeze is the second in the modern Donkey Kong Country series, following Donkey Kong Country Return’s success on both the 3DS and Wii. We had a chance to try out the game via a meeting with Nintendo and relive the glory days of Donkey Kong on the SNES, and we certainly weren’t disappointed with what we saw. 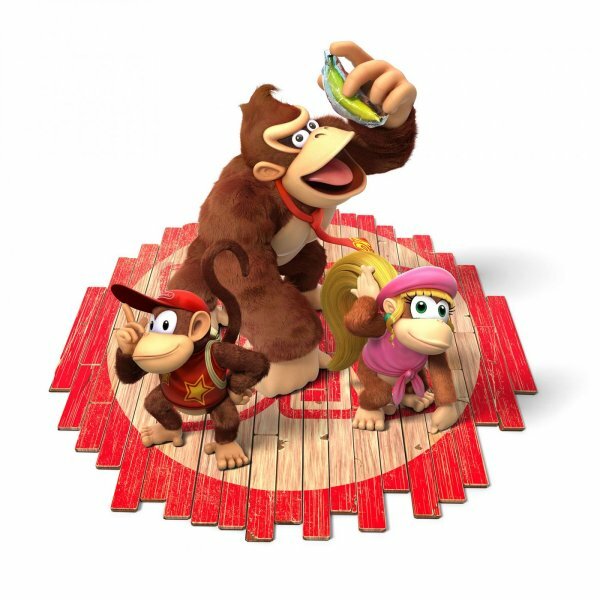 Once again, up to two players can team up to play as either Donkey Kong or Diddy Kong, both with their unique combat and platforming abilities. 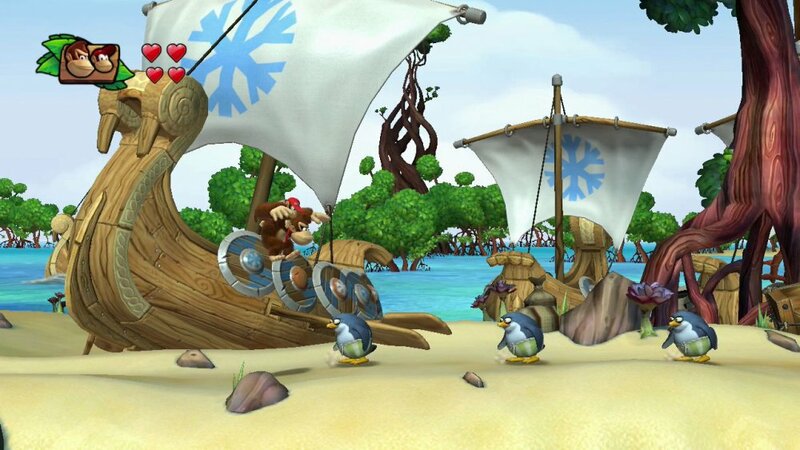 Obviously, Donkey is the larger of the two, allowing him to defeat much larger foes Diddy otherwise couldn’t, or using his strength to pound or pull large objects scattered around the environments. Diddy, on the other hand, can use his trademark jet pack to hover over gaps and his peanut gun to dispatch foes. By combining both Kongs together in the form of Diddy riding atop Donkey, both players can utilize various moves plow through enemies or navigate levels even easier using their abilities. Other unlockable characters will also be available, but we can only confirm Dixie Kong as one of them thus far. Overall, were both pretty impressed with the visuals of Tropical Freeze, traversing various areas of jungle, beach, underwater, and underground cavern. There were sections of each level that switched from 2D to 3D, such as barrel blasting around a giant tree, which would eventually return to 2D side-scrolling action. I personally enjoyed the underwater portions myself, as they seem to replicate the same sort of nautical feel that came from the original Donkey Kong Country levels. Though the co-op moves do take some time to get down perfectly, we agreed that the game is incredibly beginner friendly. In more than one instance, we found that players could escape death with a “bubble” mechanic, much like in New Super Mario Bros. U, or be picked up by Donkey and carried throughout the level. For example: when Diddy Kong is riding on the back of Donkey Kong, both players have the ability to control Diddy’s jetpack hovering move. Same concept applies with the jumping mechanics of the mine cart riding levels. Still, this provides a way to play with less experienced players and not feel any drawback from the experience. All in all, Tropical Freeze impressed us the most from Nintendo in terms of co-op gameplay, control, and visual appeal. I was a little sad to hear that the game had to be postponed to February 2014, but I will definitely consider purchasing this game for the Wii U. The co-op mode alone is totally worth it. Page created in 0.4063 seconds.